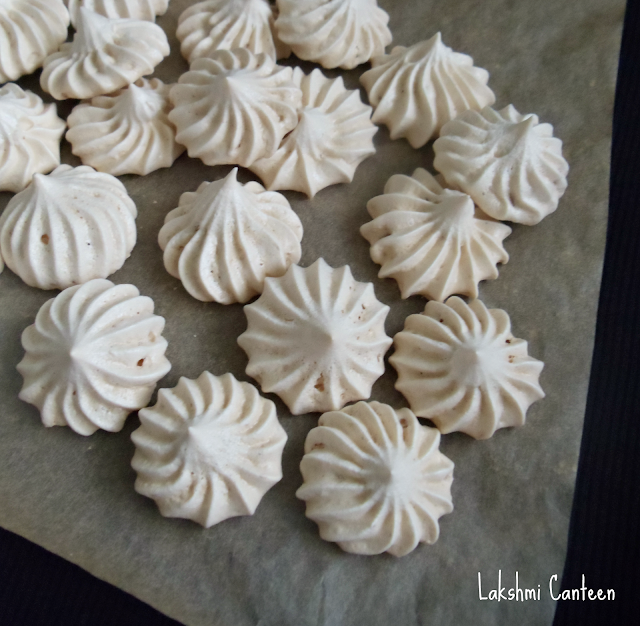 Meringue Cookies are one of the simplest cookies. 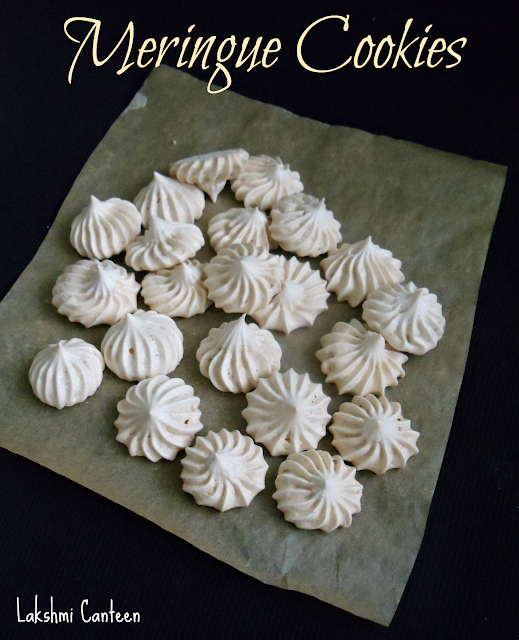 They just require three basic ingredients - egg whites, sugar and a flavoring agent. 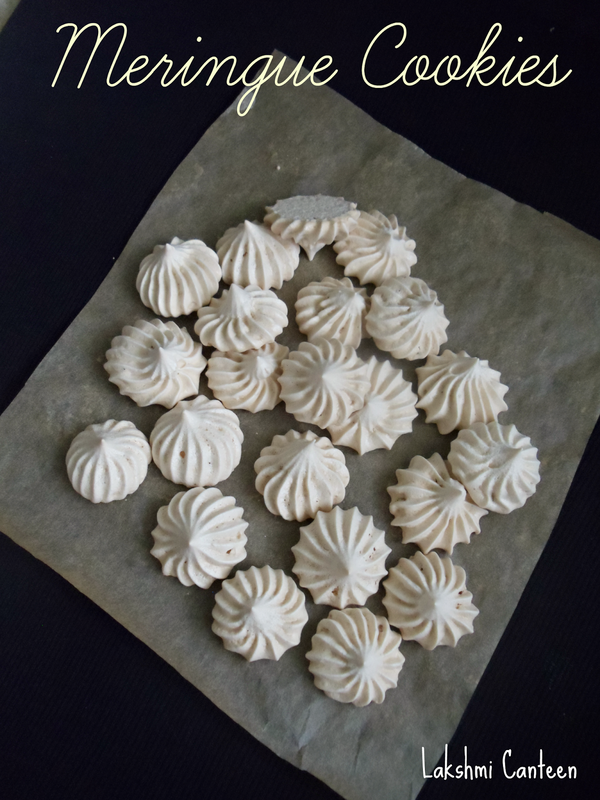 I always wanted to make these cookies from a long time, after getting inspired from few youtube videos. I also came across this recipe last year. I love cardamom in my desserts. Hence decided to give this recipe a try. After the first bite, I totally fell for it. The cookie was just melt in the mouth with a little crunch from the cashew pieces. Do try making this and I hope you will like it as much as I did! Note: #Separating the egg whites from yolk is easier when the egg is cold. Once separated, place the egg whites in a clean bowl and allow it to come to room temperature. #The bowl which you are using to whip, should be free from any oil residue. #There should be absolutely no trace of yolk in egg whites. 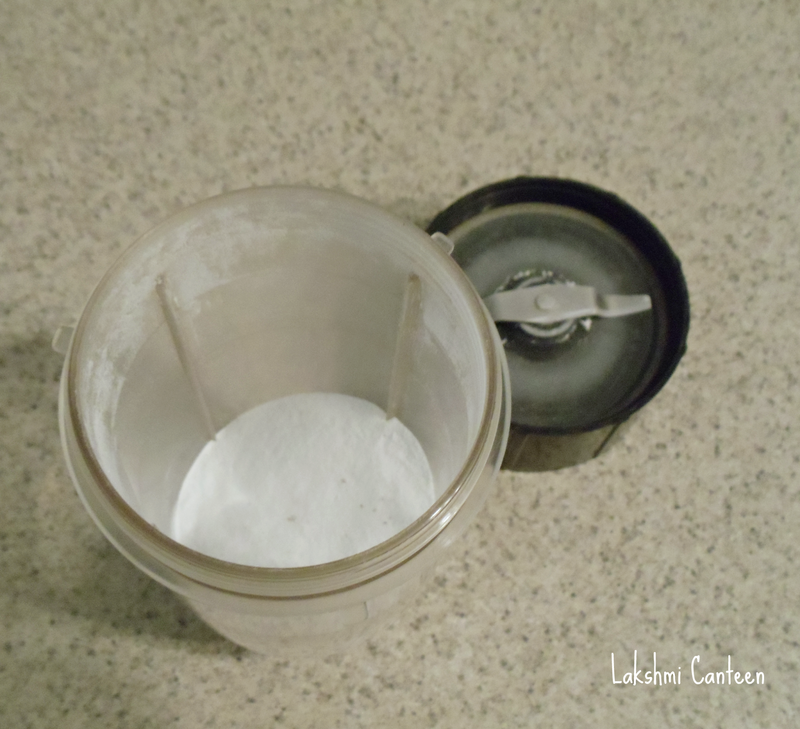 Separate the egg whites from the yolks and let the egg whites come to room temperature. Meanwhile peel the cardamom pod and grind the seed along with sugar to get a powder. Set it aside until required. Then chop the cashew nut. Now start beating the egg whites using an electric mixer or stand mixer (you can also beat it with a whisk but it takes lot of effort and time). 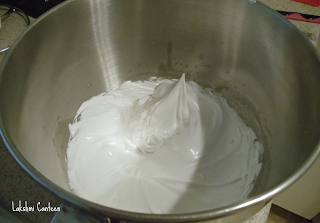 I also added 2-3 drops of lime juice (or a pinch of cream of tartar) to the egg whites. This stabilizes the egg white. After few minutes you see the foam. At this stage, start adding the powdered sugar little at a time, beating the egg whites all the time. 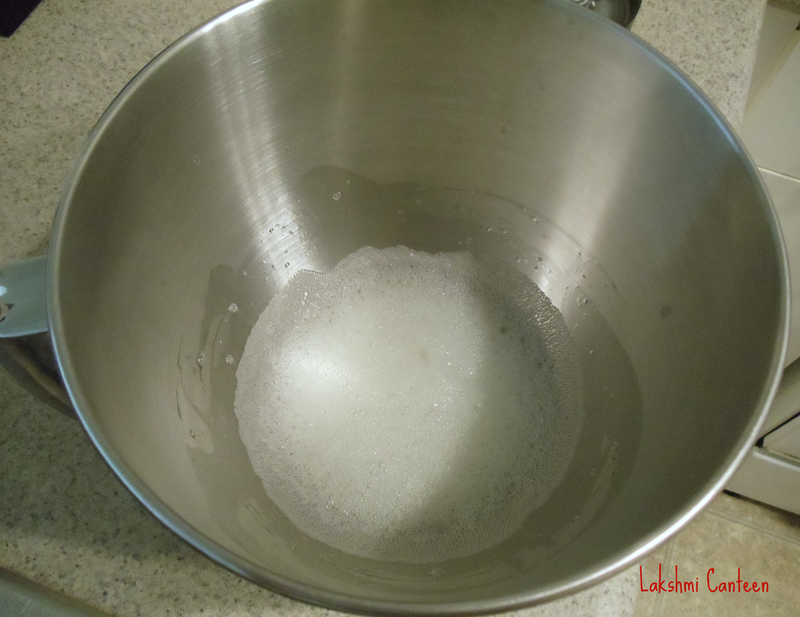 When the sugar gets over, continue beating the egg whites on high until stiff peaks form. 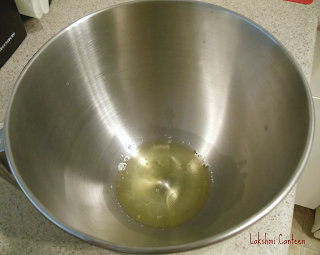 They look glossy and when the bowl turned upside down, the mixture shouldn't fall. 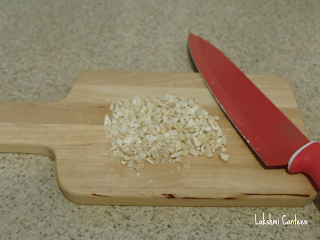 At this stage gently fold in the chopped cashews and vanilla. Care should be taken not to over mix it. At this point preheat the oven to 275F or 140C. 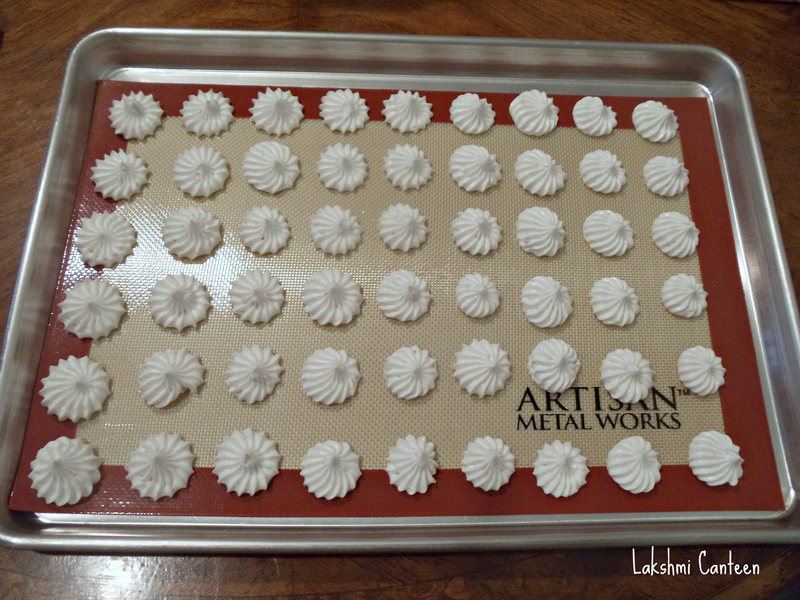 Then Take a baking sheet and line it with a parchment paper or silicone mat. Then with the help of two spoons drop small (or desired) amount of the meringue with little space in between each cookies. I got little fancy and added the mixture in a piping bag fitted with a star tip. Then piped them as shown below. You can make desired shape and size. 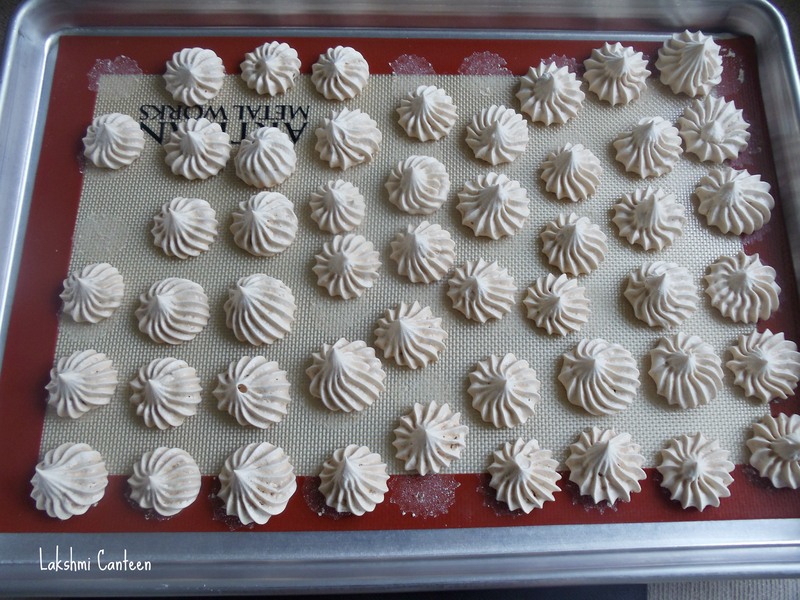 Then finally place in the preheated oven for 25 - 30 minutes or until it dries out completely and peels off from the parchment paper (bigger cookies might taker slightly longer time). Then turn off the heat and leave the cookies in the oven (with oven door slightly open) for additional half an hour. 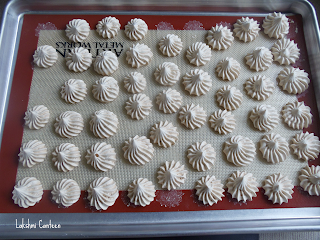 Then peel off the cookies from the parchment paper and allow it to cool completely. Cardamom Flavored Meringue Cookies are ready!